For your crowdfunding to really take off it’s important to reach past your existing networks. Getting media coverage is a great way to increase awareness about your crowdfunding campaign and access new supporters. With the right research and planning, you can achieve publicity for your crowdfunding campaign and boost your impact. More important than finding the right journal or newspaper to pitch to, is finding the right person who will be interested to feature your story. Most journalists get hundreds of press releases and email pitches every day — many of which get deleted unopened. So how do you get your story noticed? Click on ‘Advanced search’ and fill out the relevant search terms to find at least 5 contacts for each of the 3 categories above and build a list of articles and journalist names, grouping them by journal. 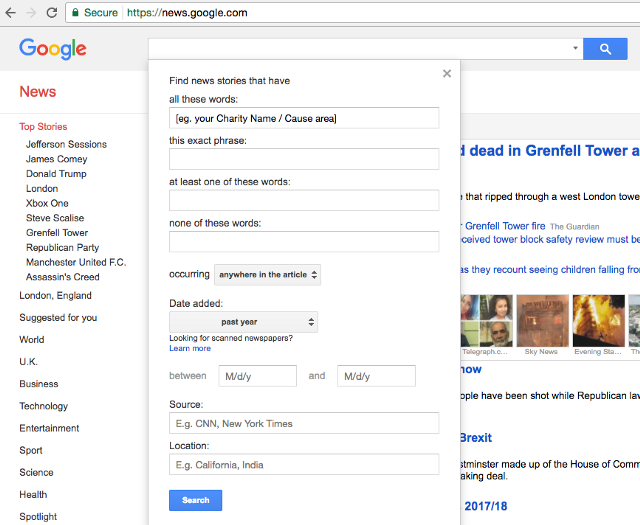 Do a Google Search for ‘Journalist’s Name + contact details’ or go to the contact page of the journal or newspaper to find out the email format the company is using. You can also find example email formats at https://www.email-format.com/. If you really can’t find their details you can also email the editor or use the online contact form, but this should be your last choice. Never underestimate the importance of connections — take the time to engage with the journalists on Twitter, LinkedIn and Facebook. Get on their radar by liking, commenting on and sharing their posts. Get to know what your key journalists want and how they work by following them on Twitter, Facebook, LinkedIn, blogs and any other social networks they may have. Get examples of what they’ve written so you can reference them later. 3. Shape the perfect story and turn it into an awesome press release. Now that you know the needs of your target journalists and their audience, build a story around your campaign with these in mind. Put yourself in the journalist’s shoes and think about what aspects of your story are the most newsworthy for their readers. Emphasize the most human aspects of your story. What makes this story interesting? Is it the cause that drives it, the current affairs that link it, the emotion it brings up, the large amount you have already raised or the fact that something incredible is happening in your local community? Also make sure you include clear links to your Chuffed.org crowdfunding campaign. Mention Chuffed.org in the text so we get notified when your story gets featured and we can help spread the word with our networks too. For more tips you can follow the guidelines of our press release template here. Make sure you refer to the journalist by name, and get straight to the point in the first couple of lines. Explain who you are, the topic of the press release and why you thought it would be of interest to them (refer to one of their previous related articles) but don’t go into too much detail — a few lines is enough. Leave a clear link to your crowdfunding campaign and either attach your press release or copy-paste the press release at the bottom of the email. Also make sure to include clear contact details and make sure you are available to respond and help them meet their deadlines. After sending your pitch, give it at least 1–2 days before taking more action. If you hear back straight away — you’re in luck. Make sure to respond to any questions as soon as possible. Journalists are working towards tight deadlines and whether or not they can feature your story will depend on how fast they can put it together for the next edition of their journal or newspaper. If you don’t hear back, the next step is a phone call. When you call, introduce yourself, mention your earlier email and state that you wanted to follow up with a photo opportunity or to double check they don’t miss out on the story. Be ready to explain why your story should be of interest to them. If they decide it isn’t, accept defeat, but ask for some positive feedback, so you can take it to your next journalist target. If you can’t get hold of them via phone, give it a few days before you send a polite follow-up email, letting them know about any updates on your campaign and asking if they have any questions related to your previous email. Don’t follow up more than once, you don’t want to come across as pushy or impatient. Journalists work towards very tight publishing deadlines and have only limited time available to explore new stories. Usually it takes a few days for them to respond, so don’t worry if you don’t hear back immediately. 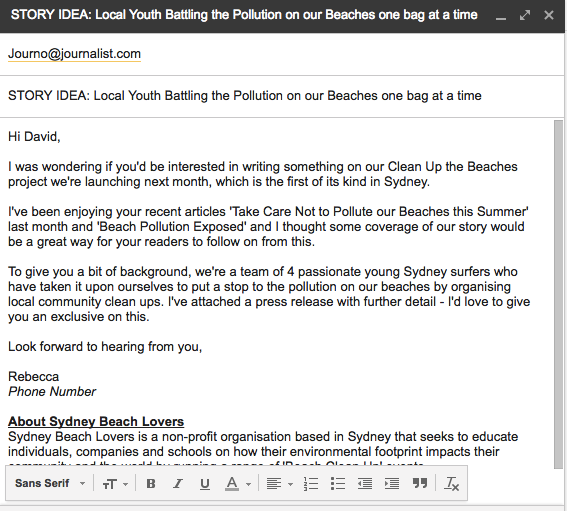 They may even feature your story without responding to your email. You will usually get a 10–20% success rate when contacting the right journalists with a relevant story, so the more you research, the better your chances! When is the best time to contact Journalists? Before your campaign launches — to let them know the campaign is coming up and with a link to the pre-launch page (make them feel special about getting a preview and let them be the first to publish your story — you can send a follow-up email once the campaign is live). When you’ve raised a considerable amount of your target in the first week (>30%) or are getting closer to your target towards the end of the campaign (>70%). Journalists are more likely to feature successful campaigns than a campaign that just launched and is sitting at $0. When your campaign is completed and you raised 100% of your target. You may not need to raise further funds, but it will help you raise more awareness of your cause and may help you get potential future support and funding. The journalist is able to feature a positive and successful story, and you have a new journalist on your list for your next campaign. What if your story gets featured? If your crowdfunding campaign gets publicity, make sure to thank the journalist for their time and effort and show their support is appreciated. If the journalist features your story, they’re more likely to cover you again in the future, so make sure you keep them in the loop as you hit milestones throughout your crowdfunding campaign. Also make sure to the article amongst your social networks as well as on your campaign page to keep the momentum going. 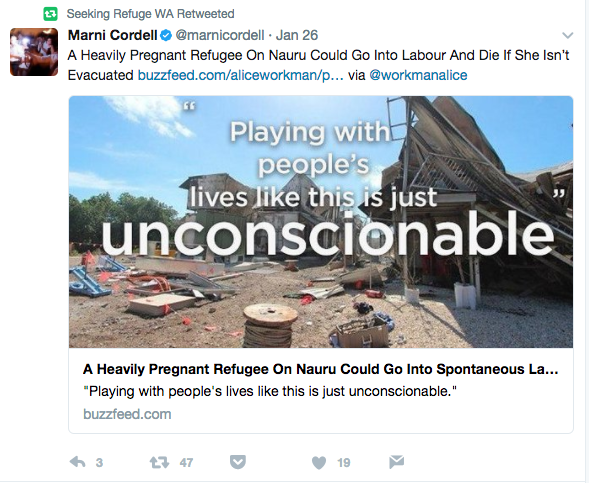 You can also share this in your email to other journalists to show the story is newsworthy and give them an example of where else the story has been featured. If you’re a registered charity in the UK, make sure sign up for https://www.relevantnow.com, a free PR and Media platform that will help you find and reach out to relevant journalists across the UK. 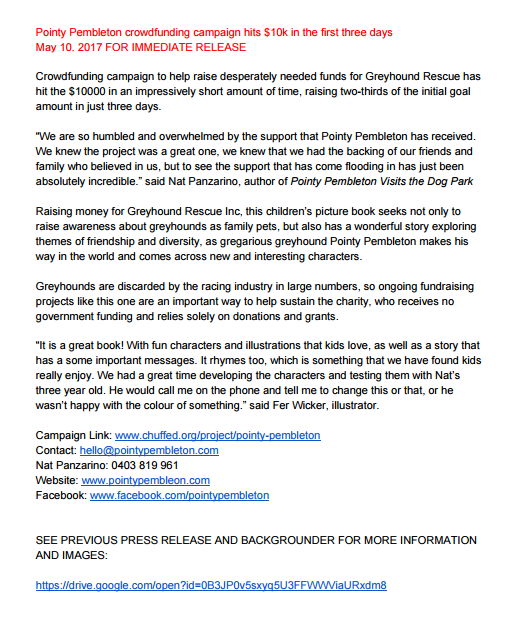 Head to https://chuffed.org/press to see examples of publicity achieved by Chuffed.org crowdfunders. We’d love to see your coverage — share it with us as well! Feeling inspired? Start your own campaign today.